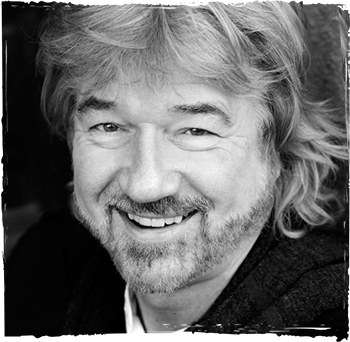 Willy Russell was born near Liverpool in 1947. He originally began writing as a songwriter, composing songs in the folk idiom. His first play Keep Your Eyes Down was produced in 1971, but he made his name with John, Paul, George, Ringo…and Bert – a musical about the Beatles which won the Evening Standard and London Theatre Critics awards for the best musical of 1974. Two of his best-known plays are Educating Rita which was inspired by his own experience of returning to education and Shirley Valentine takes the form of a monologue by a housewife before and after a holiday in Greece. Both plays were made into very successful films from Willy Russell’s own screenplays, featuring the actresses who originally created the roles on stage. Julie Walters and Pauline Collins each won an Oscar nomination, as did Russell for his Educating Rita screenplay. Willy Russell’s other theatrical success has been Blood Brothers. It played for 24 years in London’s West End and enjoyed a two-year run on Broadway. Willy has also written plays for television, the most famous of which was Our Day Out, an affecting story of a group of Liverpool schoolchildren on a coach outing. This play has been enacted by tens of thousands of school kids across the UK. The Wrong Boy, Willy Russell’s first novel, was published in 2000 to critical acclaim and, as with his plays, has been translated into many different languages. Willy Russell continues to live and work in his home city of Liverpool and is currently working on a number of projects.